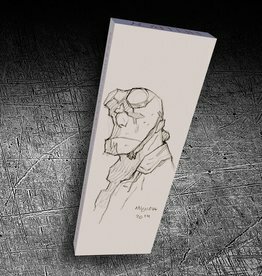 The Abe Sapien Chocolate Bar is an Hellboy chocolate bar designed by Mike Mignola himself. Get yours today! 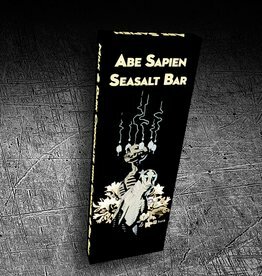 The Abe Sapien Bar is a 1/4lb of milk & dark chocolate with caramel and sea salt. Do you want to know what justice tastes like? 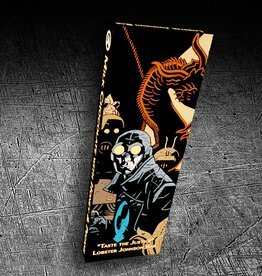 Try the “Taste the Justice Lobster Johnson Bars” designed by Mike Mignola himself. The Lobster Johnson Bar is a 1/4lb of milk chocolate with honey & pecans. 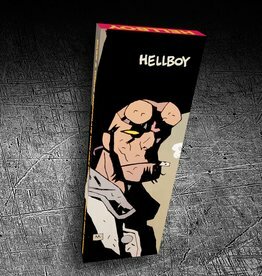 Check out this Hellboy chocolate bar designed by Mike Mignola himself. It’s a 1/4lb of milk & white chocolate with marshmallow and graham crackers. 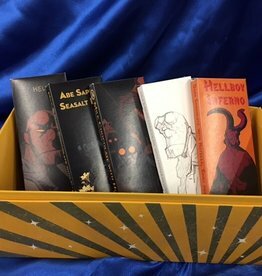 This Hellboy bar is a 1/4lb of dark & white chocolate with milk chocolate cream and Oreo cookies.